Many years ago, the great Al Koran invented a wonderful effect that became a classic in magic: The Flying Ring. That effect was first published in Koran's Professional Presentations, and was marketed by Unique Magic Studio of London in 60s. After the Al Koran invention, many improved versions with different reel layouts were conceived. 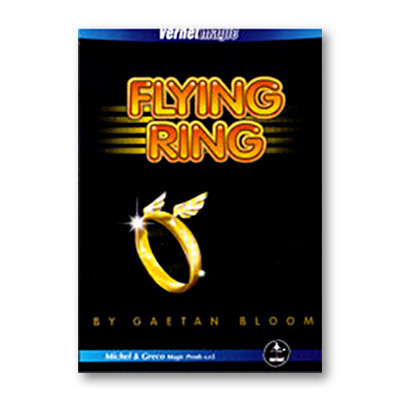 Now, Vernet is proud to present—from one of the most creative minds in the word of magic, GAETAN BLOOM—the most baffling and practical version of the Flying Ring. The basic effect is this: the magician asks for a finger ring from a lady, vanishes it, and it reappears hooked in a clip inside his key case.